U.S. casualty died of wounds sustained during operations in Logar province, Afghanistan on Saturday, November 4, 2017. A brief announcement was made by United States Army Forces – Afghanistan (USFOR-A) and Resolute Support HQs of the death. U.S. service member killed in Logar province, Resolute Support, November 4, 2017. 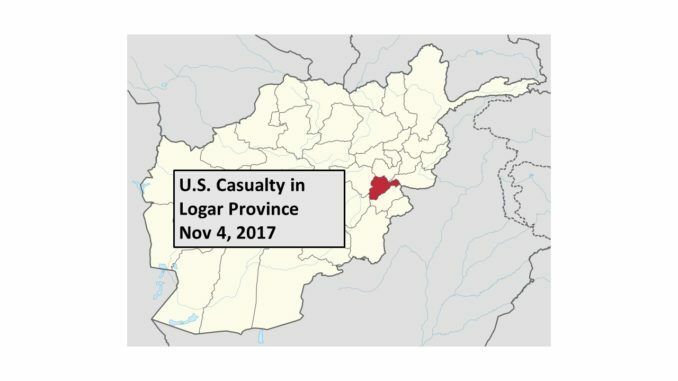 US service member killed in Afghanistan, Military Times, November 4, 2017.